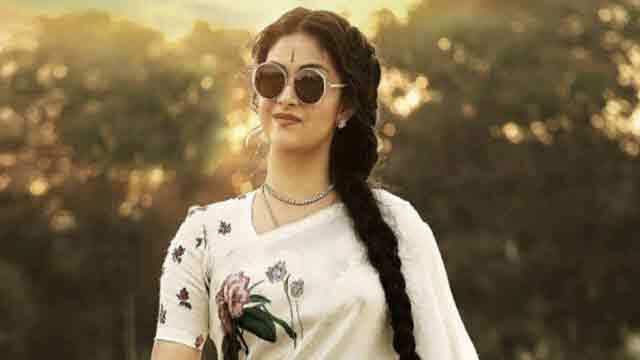 Dhaka, May 7 (Just News): The biopic of yesteryear actress Savitri, Mahanati, will be releasing in Kerala on May 11. The trilingual, which marks the Telugu debut of Dulquer Salman, will first release in Andhra Pradesh on May 9, followed by the Tamil Nadu and Kerala releases two days later. Savitri made her debut through a Telugu film called Samsaram in 1950. The film will explore the late actress's life from 1940s till 1980s as well as her controversial relationship with Gemini Ganesan, portrayed by Dulquer Salman. Savitri married Ganeshan in 1952 after being involved in a relationship for a significant amount of time. Keerthy Suresh essays the role of Savitri. In addition to Telugu cinema, the multitalented actress had also appeared in Tamil, Malayalam and Hindi cinema. Savitri made her Malayalam debut in the 1973 film Chuzhi. In addition to Chuzhi, she had appeared in two more Malayalam films, Antonyes Punyavalan in 1978, and Ashwathama in 1978. Mahanati boasts big names like Vijay Devarakonda (Arjun Reddy), Samantha, Naga Chaitanya, Bhanupriya, Prakash Raj, and Telugu filmmaker Tharun Bhascker Dhaassyam (Pelli Choopulu)among others.